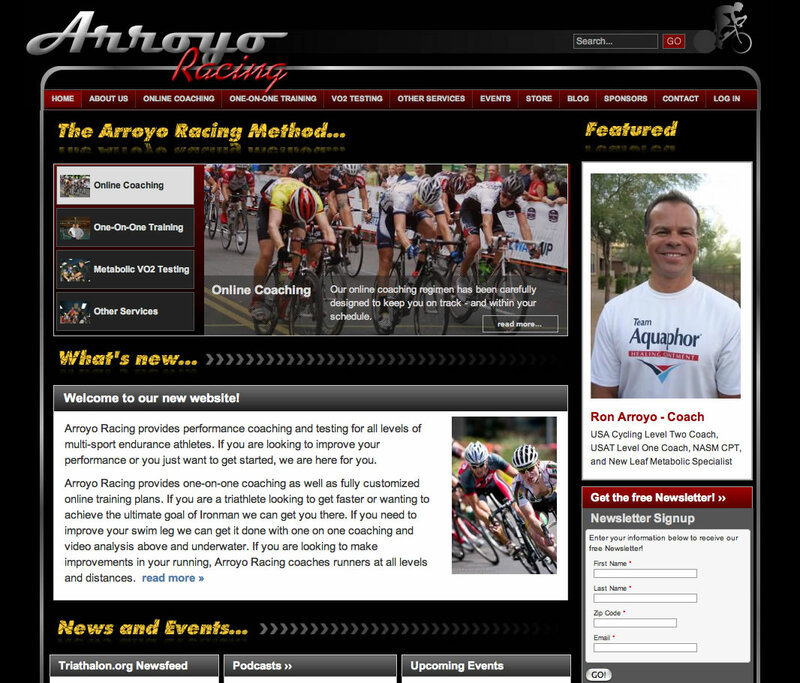 Ron Arroyo is well-known in the field of triathlon training in the Southwest - his athletes have consistently garnered awards at all levels of Biathlon, Triathlon and Championship Cycling. The challenge was to create a site that was eye-catching and easy to maintain, yet still offer plenty of user features for event enrollment, personal athletic statistics, breaking news and all things involved in the world of personal training. Ron has developed strong relationships with a wide variety of vendors; the site also offers ample opportunity for ad partnering, using targeted ad injection and tracking. But, most important of all, InterCreative was instrumental in communicating the excitement and energy Ron epitomizes in his approach to all manner of sport.